Science Night Thursday, January 24th from 6:30-7:30... Come check out the 3rd and 4th grade science fair projects and see some science demonstrations. We have presenters coming from the UofA with lots of science exhibits - archaeology, electrical engineering demonstrations, FRC robot demonstration, butterfly senses and more! Door prize drawings for those in attendance! 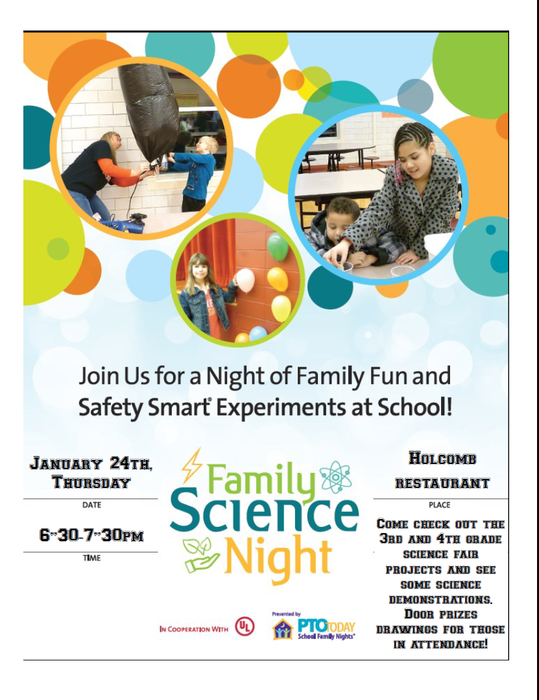 Science Night is not just for the science fair participants... any families can attend!